The Biggest Loser Workout: Cardio Max Just $7.02 (Reg. $14.98)! 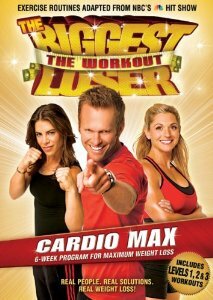 You are here: Home / Great Deals / Amazon Deals / The Biggest Loser Workout: Cardio Max Just $7.02 (Reg. $14.98)! Get The Biggest Loser Workout: Cardio Max Just $7.02 (Reg. $14.98)! Is weight loss one of your New Year’s resolutions? I have a great deal on a workout DVD for you! Amazon has The Biggest Loser Workout: Cardio Max at Amazon for just $7.02 (reg. $14.98)! Shipping is FREE with Amazon Prime or Super Saver Shipping!